With Tiverton Literary Festival on this weekend (Jun 6th & 7th), I thought I’d take a look at some great fiction recommendations for you lucky Bang2writers. 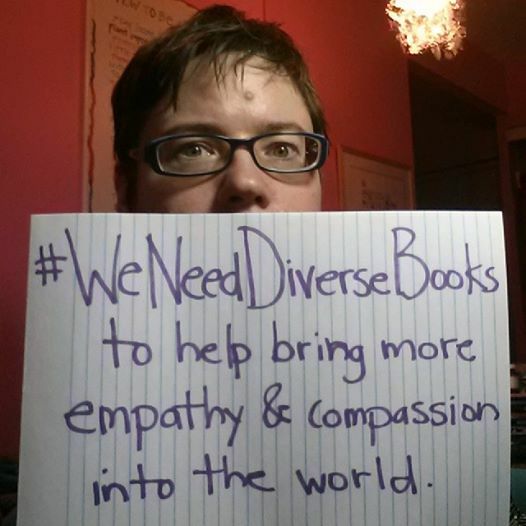 I’ve been a follower and supporter of the #WeNeedDiverseBooks campaign (check out the official site, HERE), so following previously curated posts on representation here at B2W, I thought I’d ask as many experts as I could about this. Make sure you check out our contributors’ links and recommendations! 1) What have you liked recently? 2) What would you like to see NEXT? 1) Paula Daly, Author. One author who does [diversity] spectacularly well is Kate Atkinson. Her Jackson Brodie series has a wealth of characters from different backgrounds. We get seedy criminals, doctors, a teenage detective, an upper class ageing actress, an ex-copper who steals a child. The books are so rich because of the vast range of people she writes about and such incredible fun to read. 2) Rosie Claverton, Author. I like books where women, people of colour, and folks with disabilities and mental health problems can do whatever, and do it well – like the female Dragon Captains in Naomi Novik’s Temeraire series and the motley crew of Terry Pratchett’s Watch books. But I also like it when writers acknowledge that it’s damn hard work! The Axeman’s Jazz by Ray Celestin has a black female Pinkerton in 1919 New Orleans. Ruth F Hunt is really honest in The Single Feather about the realities of living with disability and mental health problems in modern Britain. Robert Galbraith has a PI with an amputation that actually affects his work, and isn’t just a quirk. 3) Elinor Perry-Smith, proofreader. I’ve just reread the very excellent Clay’s Ark by Octavia Butler, a book that hasn’t dated at all and would indeed be completely in keeping with the Mad Max-inspired complex female characterisation roll. It boasts two young women of colour (one of whom has leukaemia), a cast of underprivileged forgotten people forced to live in the wasteland, and at the centre of it all a complex black man (a former astronaut) who struggles to control his cannibalistic instincts as he is taken over by an alien virus. What’s not to love? If I was a rich woman, I’d buy the rights to this and write the script! 4) Mary Evans, Author. As a closet history geek, I can’t get enough of Philippa Gregory’s historical fiction. She vividly recreates the power, politics and prejudice experienced by Plantagenet and Tudor women, meaning you can’t help but reflect how – and how much – women’s destinies have changed. 5) Sam Copeland, Literary Agent, RCW Literary Agency. 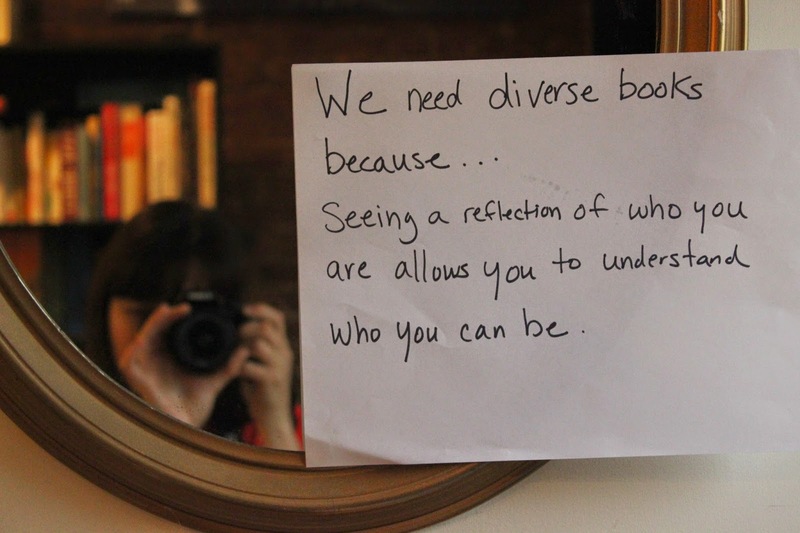 I don’t really notice ‘diverse’ books. I have no real interest in what race people are in literature. 6) Stevie Turner, Author. I liked the way Amy Elliot Dunne’s less than perfect character was slowly introduced over the course of the book Gone Girl by Gillian Flynn … I’m also enjoying an Indie read Finding Katie by Harmony Kent. Teenager Katie suffers from depression due to past trauma in her young life. Harmony Kent has done her research well and I can only imagine just how many sad and traumatised Katies there are in this world. 7) Julie Mayhew, Author. I like a book with a strong female protagonist (and by that I mean active, distinctive, complex and flawed) but I also like to read about girls and women who have come from a background that has some parallels with mine … Of course, we also need to read about people and experiences completely unlike our own – we need to escape, we need to understand others – but there’s nothing like reading a paragraph of a character’s thoughts and responding with, god, yes, me too! I have had that experience, in greater and lesser degrees, with Just Like Tomorrow by Faiza Guene; Why Be Happy When You Can Be Normal? by Jeanette Winterson; The Country Girls by Edna O’Brien and Bonjour Tristesse by Francoise Sagan. 8) Jessica Reid, Legend Press. I’ve enjoyed The Art Of Being Normal by Lisa Williamson. 9) Madhuri Blaylock, author. In recent years my favorite diverse books have been Niko by Kayti Nika Raet; The Boy in the Black Suit by Jason Reynolds; In Her Closet by Tasha L Harrison; Girls Like Us by Gail Giles; Bombay Blues by Tanuja Desai Hidier and The Many Lives of Ruby Iyer by Laxmi Hariharan to name a few. 10) Alison Bonami, Literary Agent, LBA Literary Agency. One of my favourite crime series at the moment is Ben Aaronovitch’s Rivers of London, which features Peter Grant as an incredibly engaging mixed-race hero and a hugely varied cast of characters (we don’t represent him, by the way – I’m just a big fan). His novels show a diverse London that I recognise but which I don’t really see reflected in much other commercial fiction. I’d love to see the books adapted for TV in the big-budget Dr Who slot. With Joel Fry as Peter. You can see I’ve thought about this quite a bit. 11) Hannah Shepphard, Literary Agent, DHH Literary Agency. 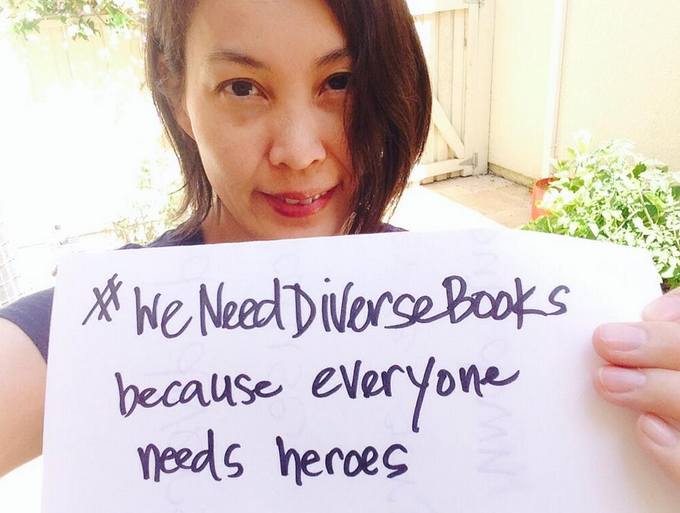 What I’d like to see is a normalisation of diversity in books. 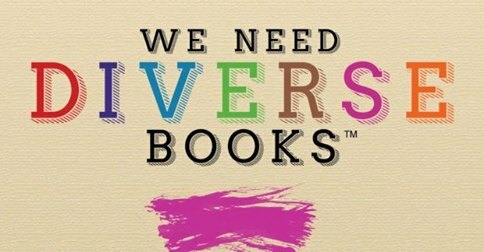 Not necessarily books about the issues of race or sexual orientation or disability etc (although there is absolutely room for more of those) but books where the wider cast is more real in its diversity. I’ve been thinking back on some of the books I’ve been involved in publishing and while a lot of them do focus on white, straight, able-bodied characters I do think there is movement in the right direction … Julianna Baggot’s central character Pressia in the Pure trilogy is half Japanese; that’s not what the book is about, but she’s a more diverse YA character, similarly Juliet in Tanya Byrne’s Heart-Shaped Bruise is mixed race. Keris Stainton’s recent books Starring Kitty and Spotlight On Sunny feature a young teen exploring a crush on another girl, a muslim girl who wants to wear her headscarf and a boy in a wheelchair. But primarily the stories are about friendship and growing up, they just happen to feature more diverse characters. 12) Wendy Storer, author. My all time favourite is Mark Haddon’s The Curious Incident of the Dog in the Night Time. Having worked at times with some severely autistic youngsters, I found this completely real. The young hero, Christopher Boone, is very true to life, but so are the frustrations and reactions of the people around him. I love it that even though Christopher struggles to understand the emotional complexity of his world, he still finds a way to live in it and come out on top. He’s an absolute hero! For different reasons, I love Colette Victor’s, Head Over Heart, the story of Zeyneb, a troubled teen who faces the dilemma of whether or not to conform to cultural expectations. I love the cultural references in this and I love Zeyneb because her emotional world is so confusing and difficult to navigate; any teenage girl can relate to this. But whilst Zeyneb’s dilemma is very much to do with her religion, the bigger story here is about self-acceptance. 13) Oli Munson, Literary Agent, AM Heath. I’m biased for sure, but I love my author Mari Hannah’s crime novels which feature a gay central character: DCI Kate Daniels who up until the first book, The Murder Wall, had spent her life in the closet. Mari won the Polari Prize for that one. A terrific honour and the series has gone from strength to strength. Tomorrow: Our experts share what they’d like to see NEXT! 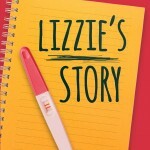 Another diverse book to get your teeth into: The Decision: Lizzie’s Story. “It’s great to read a book on teenage pregnancy that considers the whole story.” CLICK HERE or on the pic to download, or to read an exclusive excerpt from the novel, click HERE. Lovely to include books but the problem is right here, Sam Copeland the agent says he doesn’t notice the race of protagonists in fiction. Lucky him. The rest of us do and realise we are not there. Might be worth looking at his client/book list before we assume anything, tbh.